The Ægir Race is the lighter variation of our Ocean line perfect for Offshore racing. The Ægir Race Salopette for women is offering full protection from punishing waves and wind, women's specific design developed with team SCA in VOR 2014-2015 and a tailored female fit. The Salopette construction have built-in seat and knee reinforcements and uses a Hybrid construction with breathable softshell above the waistline and our latest 3-ply Helly Tech® fabric technology with composite membrane lamination for the exposed lower part to ensure a total waterproof and breathable construction. Especially developed for women's convenience is the drop seat construction with a fully waterproof YKK® aquaseal® zipper. 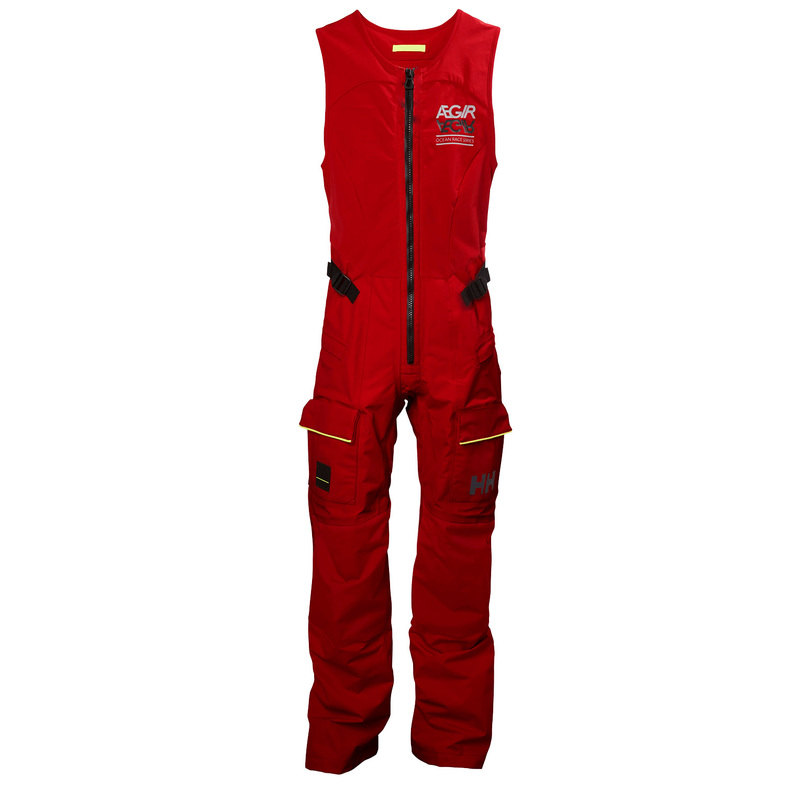 A durable set of trousers in a clean functional design cut for freedom of movement ideal for pro offshore sailing.